Today I went to B.B. 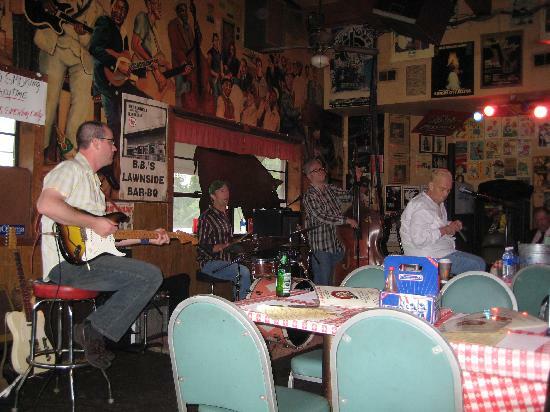 's BBQ in Kansas City, where Mama Ray and her friends jammed to the blues. It was one of the most authentic experiences I've had in the city. Everyone was very laid back, eating BBQ, drinking beer and just enjoying the start of a long, hot summer. I can't wait to go back and share this place with friends. Mama Ray sang and her back up players were incredible. If you ever get the chance to spend a Saturday at B.B. 's you won't regret it. It was a great time! The guy playing the guitar (wish I knew his name) was the best I've heard. 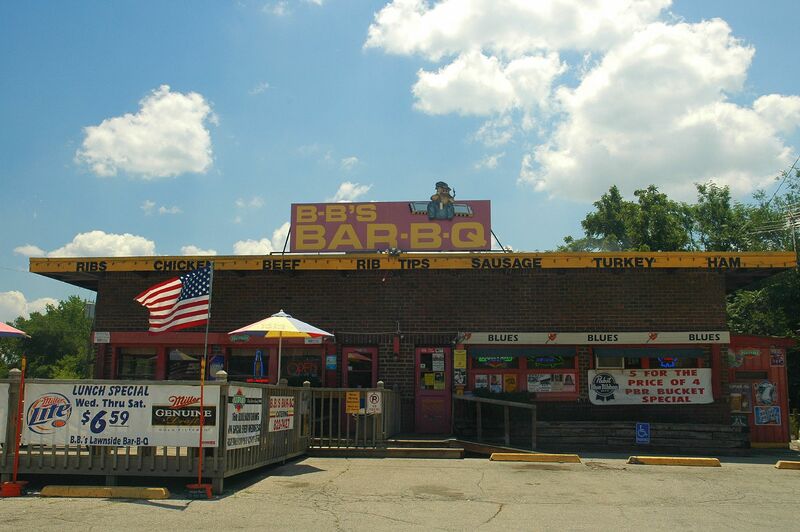 The food was perfect....Just another great place for Kansas City BBQ. Should we go here instead of Teq H???? Looks Yummy!!! I love BBs Lawnside BBQ. Such a fun place. Fast Johnny Ricker plays there often, he rocks.